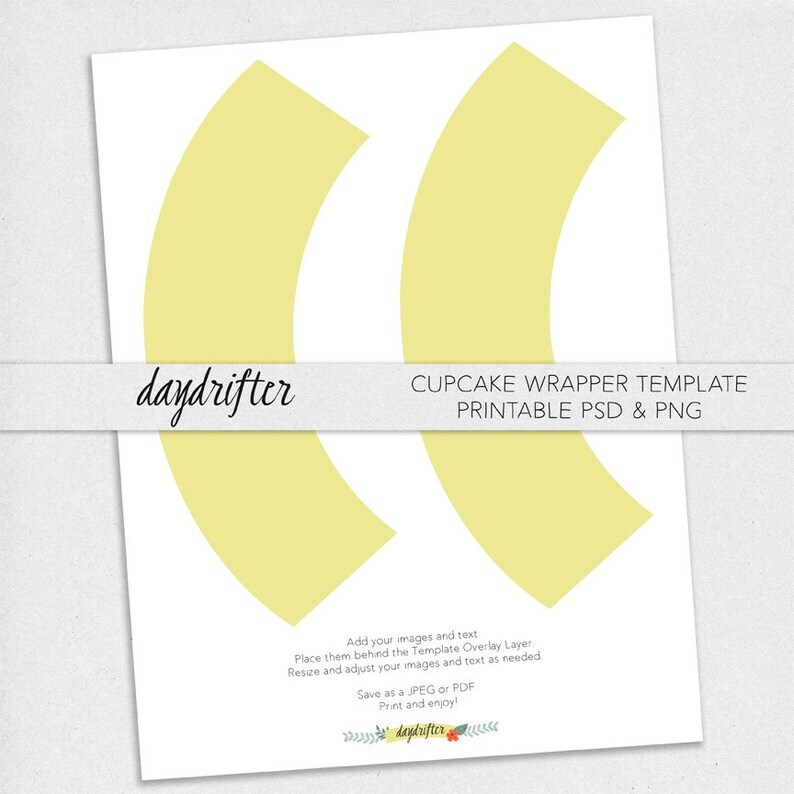 Design your own custom cupcake wrappers and DIY printables with this easy-to-use cupcake wrapper template. Make your own cupcake wrappers and create custom party decor for a boy or girl's birthday party, baby shower, bridal shower, wedding, or other occasion. The wrappers in our preview images are yellow, but you can make them ANY COLOR you want! Our templates are easy to use! 1. Add your images and text. 2. Place them behind the Template Overlay Layer (in the PSD template), or behind the PNG. 3. Resize and adjust your images and text as needed. 4. Save as a JPEG or PDF.